All weather strength and protection in a new size perfect for black guns and take downs, the 108361 boasts ultra thick walls, dri-loc weather resistant seal, heavy-duty dual stage latches with a pressure release valve. 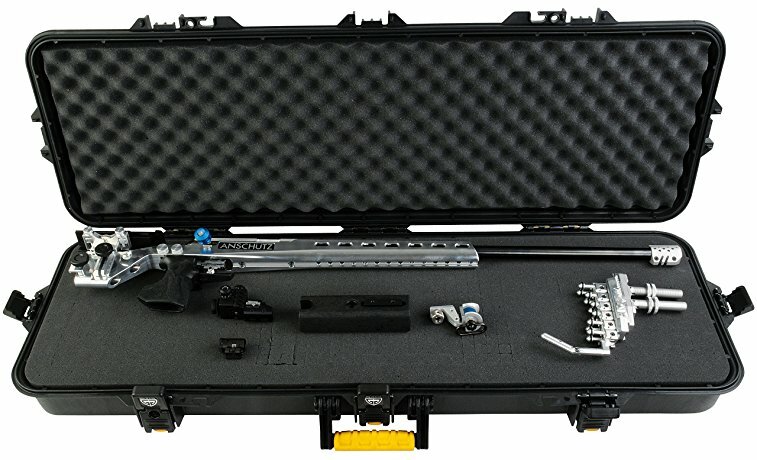 The Gun Guard AW Tactical Case from Plano is designed to hold and protect an AR-15 style rifle up to 36 inches long in the most extreme conditions. Built to offer a complete shield against the elements, the Gun Guard Case features a continuous Dri-Loc seal that ensures the case remains watertight, airtight, and dust proof. The case boasts rugged, hard-sided construction with thick walls and heavy-duty dual stage, spring loaded latches with pad lock tabs. High strength pinned hinges and a high-density foam interior round out the features on this all-weather case. 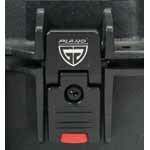 The Gun Guard AW latches provide security for travel and storage.